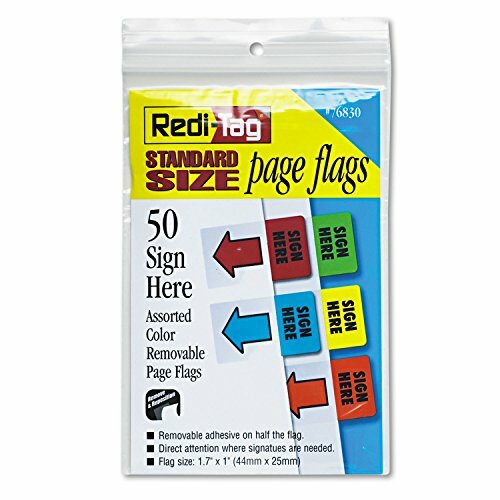 Removable, reusable and writeable standard page flags. Quickly retrieve information from documents, files, textbooks and personal planners by marking them with these standard page flags. After the flag is no longer necessary, simply remove it and reuse it. Using a color-coded system is a great way to keep track of important information and messages. Plus, for added organization capability, the flags can be written on with a ballpoint pen, pencil or permanent markerâ€"so you can make labels or add notes to the flags. Color(s): Assorted.